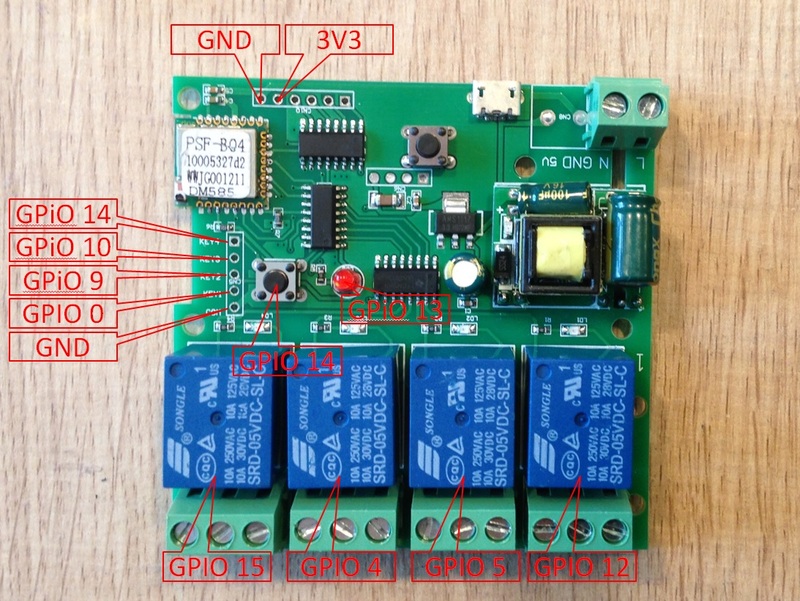 The Sonoff 4CH DIY is based on the ESP8285. As always, you need to access the serial interface. The four serial pins (3V3, Rx, Tx, GND) can be seen in the picture. Programming the Sonoff 4CH DIY is a breeze although the on-board-button is not connected to GPIO0. 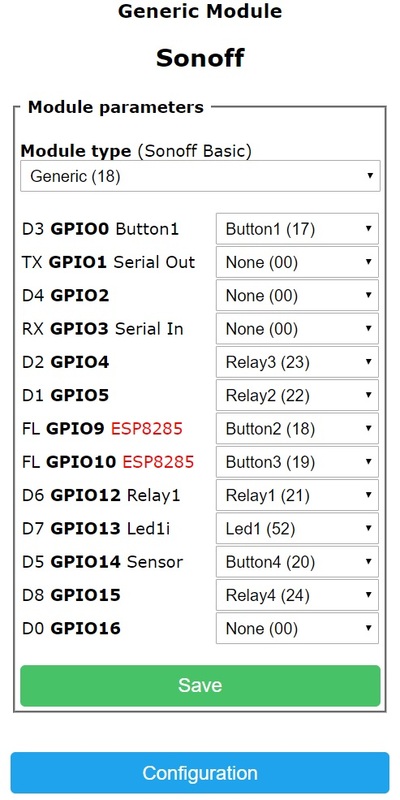 As with all ESP8266/ESP8285 modules pulling GPIO0 to GND is needed to put the chip in programming mode. You need to connect GPIO0 and GND during power up. Luckily both GND and GPIO0 (as KEY 1) are available on the header. A simple jumper between GND and KEY 1 while programming will do. To use GPIO9 and GPIO10 of the ESP8285, open the consol and enter => "SetOption51 on".